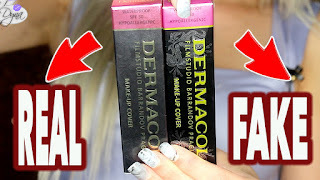 DUPE ALERT #6 !!! Maxfactor Angelic and NYX Thalia lipsticks !! Do you see the similarity as much as I do..?? The packaging is also different since Max factor has a lipgloss tube which is liquid in texture and dries to a matte finish, and comes with a conditioning balm to make it glossy. NYX round lipstick is more of a typical lipstick packaging .. I personally would choose the NYX lipstick over the Maxfactor one, because the Maxfactor one doesn't feel good at all on the lips. I would give this a 75% dupe .. the swatch doesn't really show that much similarity but on the lips they essentially look the same ..
your photo are amazing! beautiful blog! I just registered. I'm an Italian girl who writes about beauty, pass by me if you like! How to: Make your own Make Up Brush Holder!! REVIEW: ELF studio line mini eyelash curler!! REVIEW: ELF regular line crease brush !!! REVIEW: TRES EMME Heat Defence Creme Serum !! A Rockin' ELF HAUL!! £38 worth !!!! FOTD : wearable everyday quick look ! !